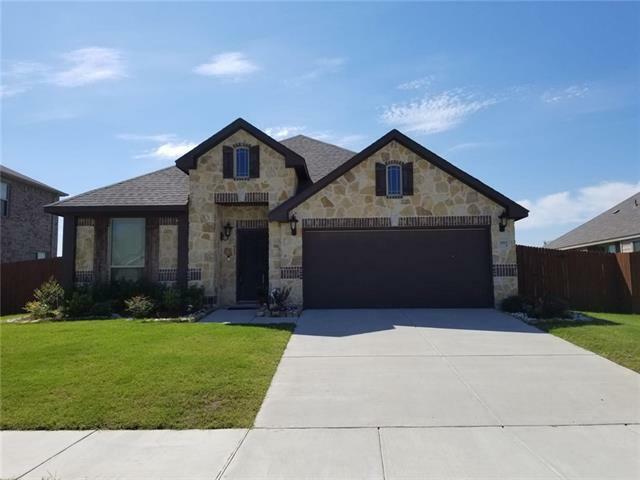 All Heartland homes currently listed for sale in Heartland as of 04/24/2019 are shown below. You can change the search criteria at any time by pressing the 'Change Search' button below. If you have any questions or you would like more information about any Heartland homes for sale or other Heartland real estate, please contact us and one of our knowledgeable Heartland REALTORS® would be pleased to assist you. "NEW BLOOMFIELD HOME ON LARGE END OF CUL-DE-SAC HOMESITE! 3 CAR GARAGE! This 4 bed, 3 bath home features a stunning rotunda entry and spacious open floor plan; Upgraded Deluxe Kitchen with ss appliances including gas cooktop, custom cabinets, pantry, granite counters and island; Master Suite with walk-in closet, window seats, his and hers sinks, garden tub and separate shower; Study; Dining Room; Game Room AND Media Room upstairs; Extended covered patio; Fully Landscaped. This home is perfect for"
"BEAUTIFUL New Bloomfield Home with 3 CAR GARAGE WITH CEDAR DOORS on a END OF CUL-DE-SAC LOT! Ready for YOU in Summer 2019! 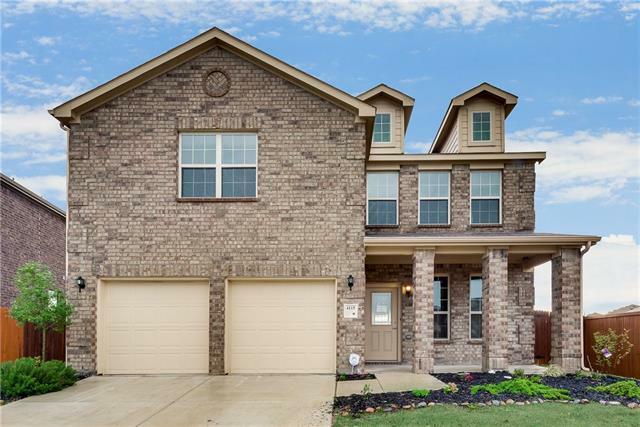 This two story 4 bed, 3 bath home features a beautiful stone elevation; Gourmet Kitchen with SS appliances, breakfast bar, custom cabinets, walk-in pantry, granite counters and island; Large Master Suite with walk-in closet, dual sinks, garden tub and separate shower; Study; Game Room upstairs; 2 inch faux wood blinds; Rear covered patio and large front sitting porch; Gutter"
"BEAUTIFUL New Bloomfield Home with 3 CAR GARAGE WITH CEDAR DOORS on a CORNER LOT! Ready for YOU in Spring 2019! 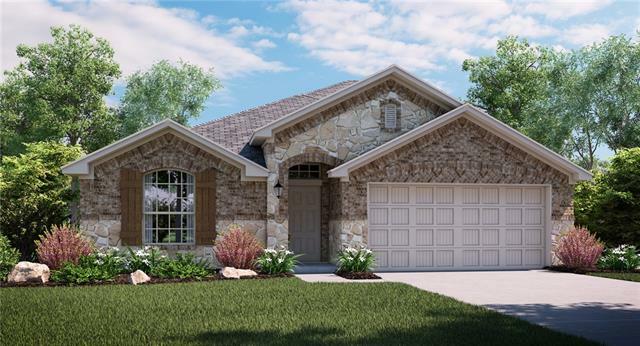 This two story 4 bed, 3 bath home features a beautiful stone elevation; Gourmet Kitchen with SS appliances, breakfast bar, custom cabinets, walk-in pantry, granite counters and island; Large Master Suite; Study; Game Room upstairs; 2 inch faux wood blinds; Rear covered patio and large front sitting porch;3 Car Garage with Cedar Garage Doors; Gutters; FULLY LANDSCAPED! This home is PERF"
"BEAUTIFUL New Bloomfield Home, Ready for YOU in Spring 2019! 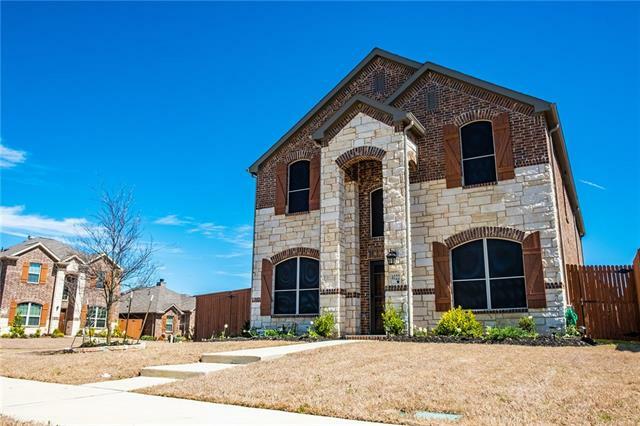 This two story 4 bed, 3 bath home features a beautiful stone elevation; 8 foot wrought iron and rain glass wood door front door; Gourmet Kitchen with SS appliances, breakfast bar, custom cabinets, walk-in pantry, granite counters and island; Large Master Suite with sitting area, walk in closet; Study; Game Room upstairs; 2 inch faux wood blinds; Rear covered patio; Cedar Garage Doors; Gutters; FULLY LANDSCAPED! 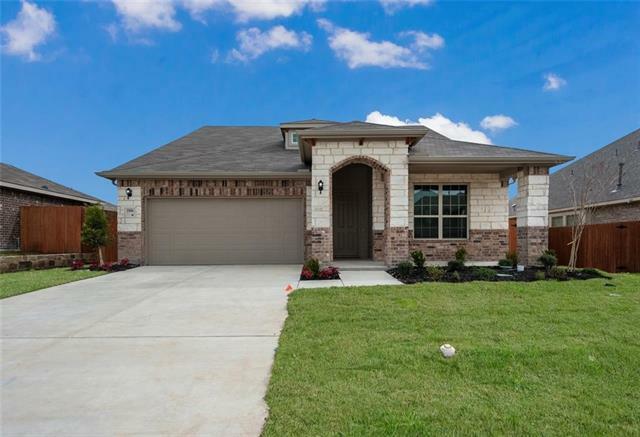 This home is PERFECT for"
"Welcome to Heartland, a master planned community. Situated opposite a greenbelt with pond to this two story beautiful home. 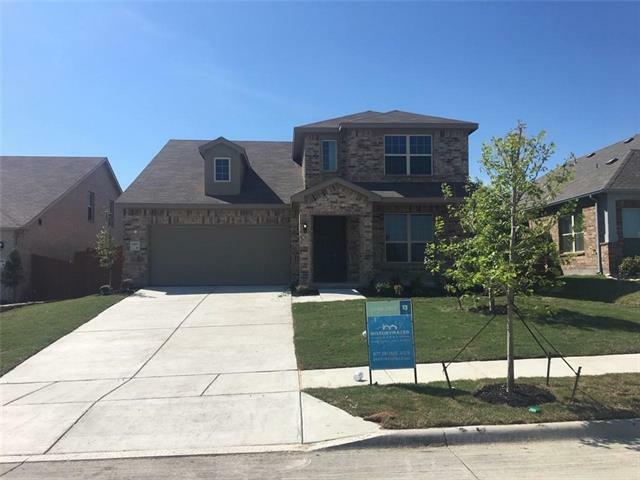 Wide open floor plan, 4 bedroom, 3.5 baths, with an actual office. Spacious open kitchen and eating area features granite counters, walk-n pantry, breakfast bar & stainless appliances. Mater suite features a garden tub, shower & dual sinks. Open patio plus large privacy fenced backyard on this corner lot home. Community has 400 acres of parks, community pools, basket"
"MLS# 13990287 - Built by History Maker Homes - Ready Now! ~ Beautiful home with a fountain water view! 4,3.5,2. 9ft Ceilings Throughout first floor, 42in cabinets with crown molding, granite countertops, large kitchen island and recessed lighting. 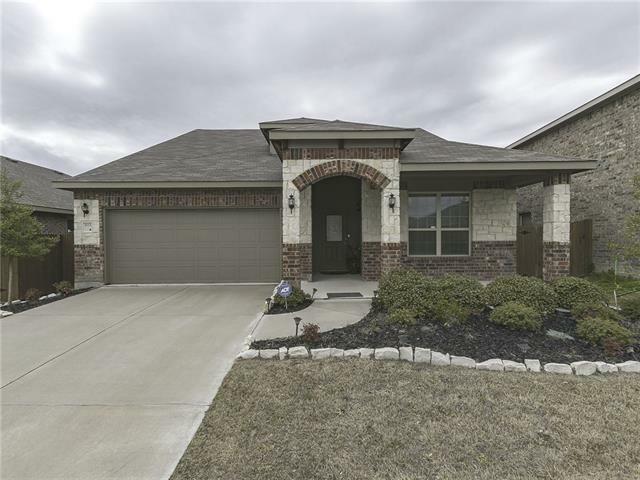 Fireplace, Box window in kitchen nook, Study with french doors, Master Bath with dual sink vanity's, separate tub and shower, covered patio and exterior lighting packing, nice front porch." "This plan is unique in that it includes a game room upstairs in the half story, it also offers a study in lieu of the dining room standard. There is a powder bath downstairs perfect for guests, and the family room and kitchen create an inviting open environment! There is also access to the relaxing covered back patio through the breakfast nook. The Daylily includes four conveniently located bedrooms, the master suite is nestled away down a private hallway at the back of the home. 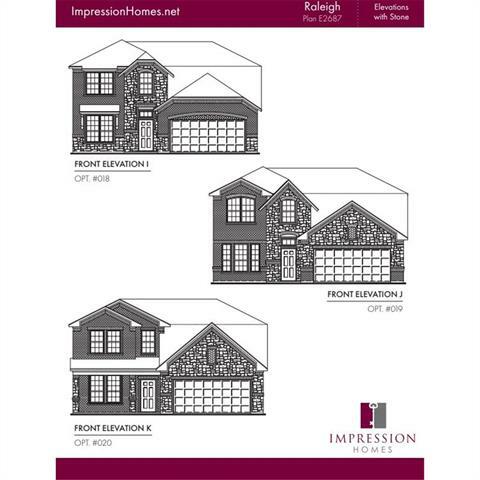 *Square Footage"
"MLS# 14056543 - Built by Impression Homes - May completion! 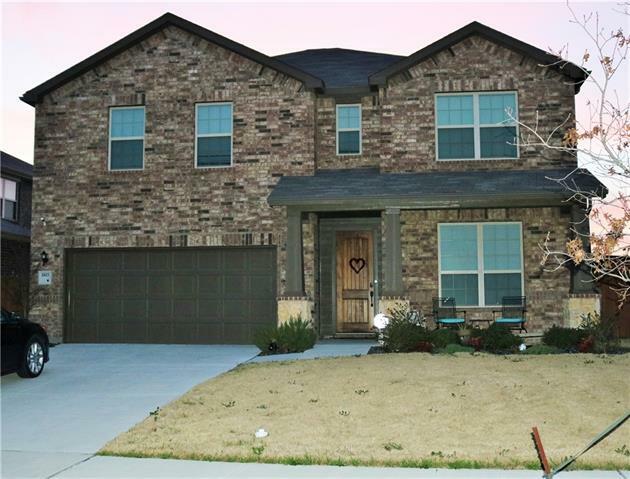 ~ Beautiful New 2 story Impression Home features huge covered patio with gas drop, heat, cook-top & fireplace; huge game room, 4 bedrooms, 2.5 baths, granite kitchen tops, Island Kitchen, rounded corners, huge walk-in closets, full blinds, GDO, & much more!!!" 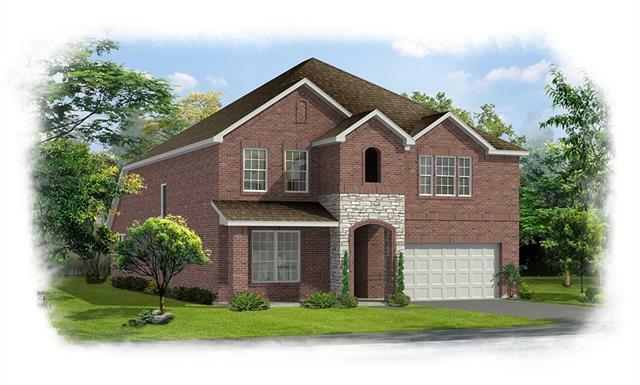 "BEAUTIFUL New Bloomfield Home ON LARGE CUL-DE-SAC HOMESITE! This 4 bed, 2 bath home features a beautiful stone elevation; 8 foot wrought iron and rain glass wood door front door; Gourmet Kitchen with SS appliances, breakfast bar, upgraded gauntlet gray painted custom cabinets, walk-in pantry, granite counters and island; Master Suite with walk in closet; Large Study with French Doors; 2 inch faux wood blinds; Rear covered patio; Gutters; FULLY LANDSCAPED! This home is PERFECT for a family. Call"
"MLS# 14063002 - Built by History Maker Homes - April completion! ~ Beautiful Home on large lot facing water view! 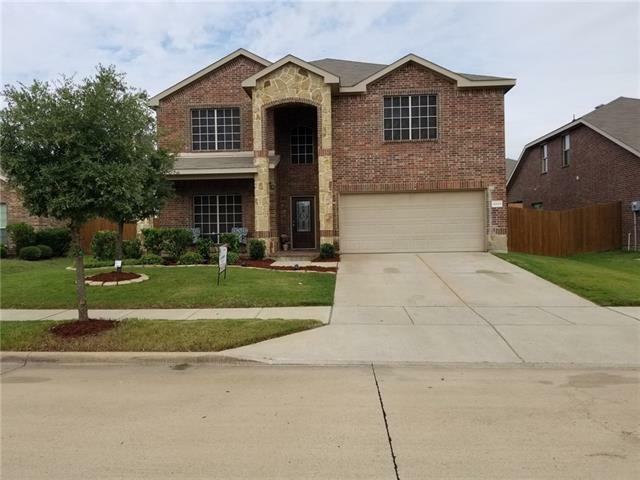 4Br, 3 full baths, Large Gameroom upstairs. 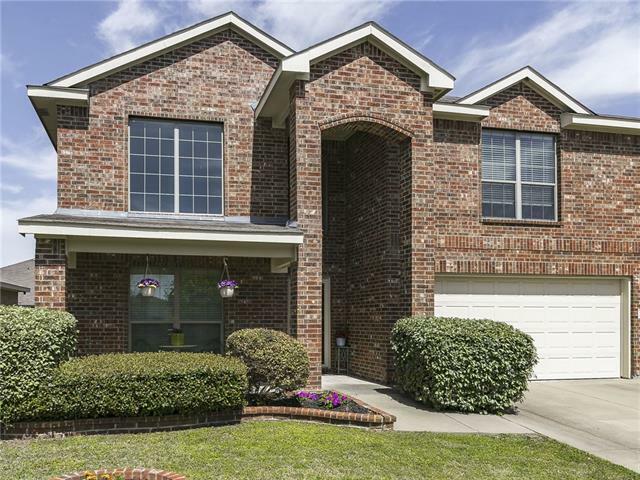 9ft ceilings, 42in kitchen cabinets with crown moulding, granite countertops, large kitchen island, Stainless steel appliances, Gas Stove, Fireplace, and Tankless Water Heater, Boxed window in kitchen nook, Master Bath includes separate tub and shower, Dual Vanity, garden tub with window for natural lighting. Close to the brand new Oasis am"
"AWESOME corner lot, 4Br, 2.5 Ba, formal dining, study. Stone Elevation has window accent, Newly installed porcelain wood tile flooring. Lots of upgrades like recess light added higher level of granite in 2018. All windows have new solar screens installed in 2018 inspite of energy efficient windows. Granite counter tops changed to higher level, crown molding and covered patio. Water filter stays. CCTV a wireless camera stays. . All Ba has Bidet. " "Gorgeous home with great appeal. Home features 4 BR, 3 full Bath and study room. Beautiful open floor plan with a lot of natural light throughout. Huge open kitchen with stainless steel appliances including built in microwave, oven, and dishwasher. Granite counter top in kitchen. Gorgeous master bedroom with sitting area, walk in closet and master bath featuring a garden tub, dual sink, separate shower. Hardwood floors in entry, kitchen, dining and family room. Large backyard with covered pati"
"MLS# 14017664 - Built by History Maker Homes - Ready Now! ~ Beautiful home on large lot. 3 bedrooms, Study with french doors, Master Suite includes dual sink vanity, separate tub and shower. 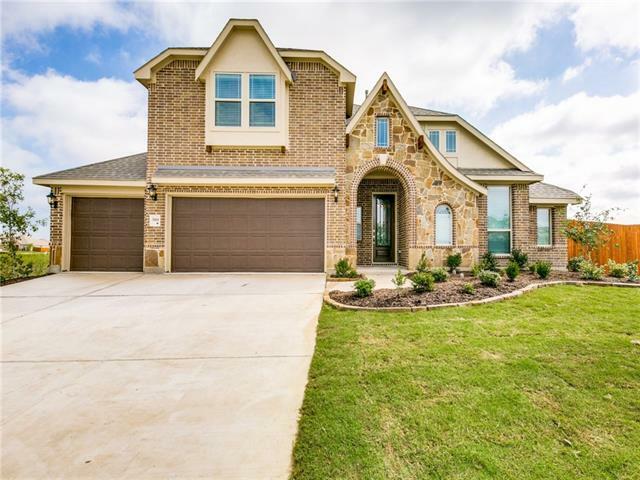 Stone and brick exterior, 9 ft ceilings on 1st floor, 42in kitchen cabinets with crown moulding, granite counter tops, Recessed lighting Stainless steel whirlpool appliances, Fireplace." "MLS# 13990303 - Built by History Maker Homes - Ready Now! ~ Beautiful home with water fountain view! 4,2,2. 9ft Ceilings throughout, 42in Espresso Kitchen Cabinets with Crown Moulding, granite countertops, large kitchen island and recessed lighting. Stainless Steel Appliances, Fireplace with cast iron stone and mantle. 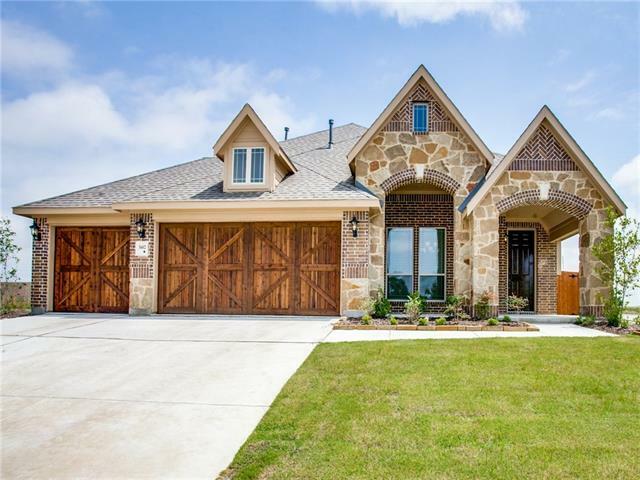 Rounded Sheetrock Corners in traffic areas and arched openings, Master suite includes dual sink vanity, separate tile shower and garden tub, Full Irrigation system"
"Stunning home with so much character. The spacious living area is open to the breakfast area and kitchen with breakfast bar, granite counters, and stainless appliances. Formal dining area or study with french doors. Master suite features master bath with walk in closet, double vanity, garden tub, and separate glass shower. Second floor has a spacious living area or gameroom. Great backyard with covered patio, pergola, Pompeii wood burning brick oven, and koi pond." 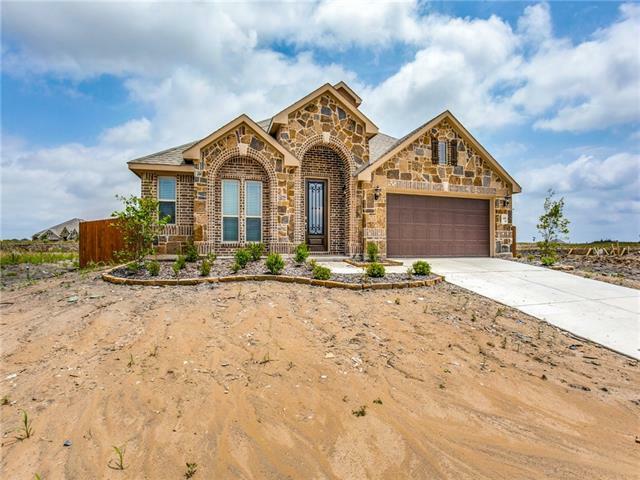 "MLS# 13989632 - Built by History Maker Homes - April completion! ~ 4,2,2 Beautiful 1 Story Home On Large Lot with a Fountain View. 9ft Ceilings throughout, 42in Antique White Kitchen Cabinets with Crown Moulding, Granite Countertops, Lg Kitchen Island and Recessed Lighting. 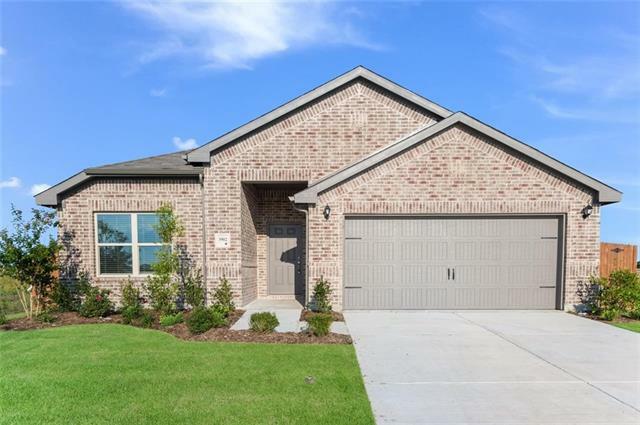 Stainless Steel Whirlpool Appliances, Rounded Sheetrock Corners, Dual Sink in Master Bath, Sep Garden Tub and Shower, with Window for natural light. Cedar Shutters, Full sod and Full Irrigation System." "From the inviting front porch enter into a spacious executive retreat. Inviting foyer with formal dining leading to kitchen and great room. Master retreat and 1 secondary bedroom are downstairs on opposite sides. Master has sitting area with large bath with custom walk-in closet. The kitchen features granite counter tops , spacious cabinets and custom pantry. Upstairs by decorative banister there are 2 spacious bedrooms with generous closets, bathroom. game room and media room. All with spacious"
"Beautiful four bedroom home in Heartland. This lovely home has been meticulously cared for, it feels practically new! Spacious living area and kitchen with breakfast bar and granite counters, breakfast area along with a formal dining. The fourth bedroom is currently being used as an office. The second floor has a large living area. Nice backyard with a covered patio and wood privacy fence." 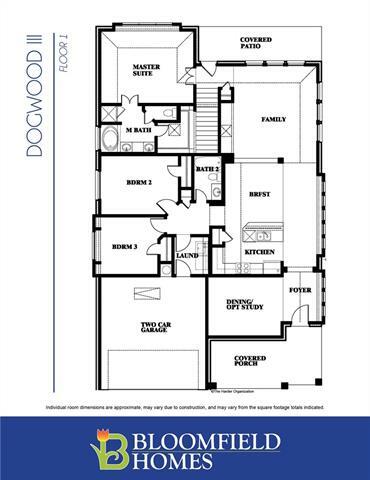 "The Bluebonnet floor plan offers a study standard. 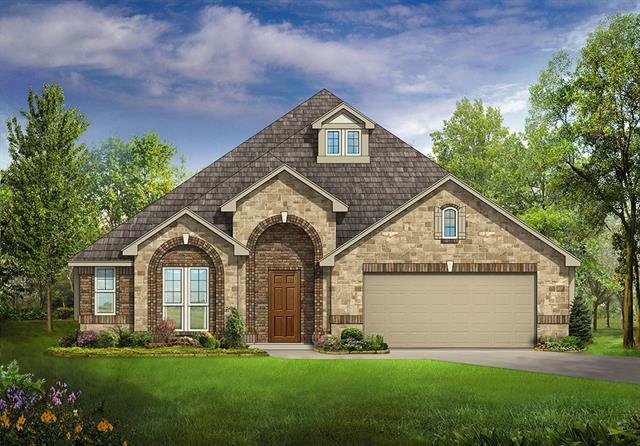 This floor plan has an elegant entrance through the foyer with access to the entire home. The open kitchen has a kitchen island standard and has a breakfast nook with a cozy window bench! *Square footage subject to change due to optional rooms* MOVE-IN READY!!!" "BEAUTIFUL New Bloomfield Home READY JUNE 2019! 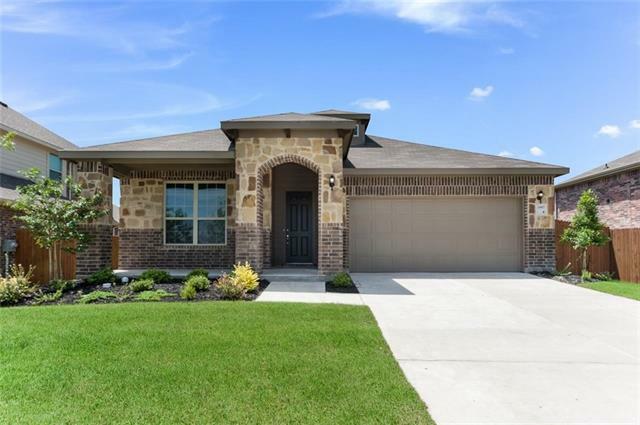 This 3 bed, 2 bath home features an open floor plan; Gourmet Kitchen with SS appliances, custom cabinets, pantry, granite counters and island; Master Suite with walk in closet; Large open Family Room and Kitchen space with wood-burning and gas FIREPLACE; Porcelain wood tile flooring- all of the beauty of wood without the maintenance! 2 inch faux wood blinds; Gutters; FULLY LANDSCAPED! This home is PERFECT for a family. Call today!" "Stunning two story home with 4BR 3BA located in Heartland! Fresh interior paint. New carpet throughout. Open family room upon entry. Spacious kitchen accents matching appliances and ample counter space. Master bedroom offers walk in closet and private bath. Fully fenced backyard with covered patio perfect for your next BBQ! Come view this home today!" "Lovely four bedroom home with updates throughout in a great neighborhood! The spacious living room opens to the breakfast area and kitchen with breakfast bar and stainless appliances along with a formal dining room. First floor master suite featuring walk in closet and master bath with a double vanity. The second floor has a large living area along with two bedrooms. Great backyard with a patio and wood privacy fence." 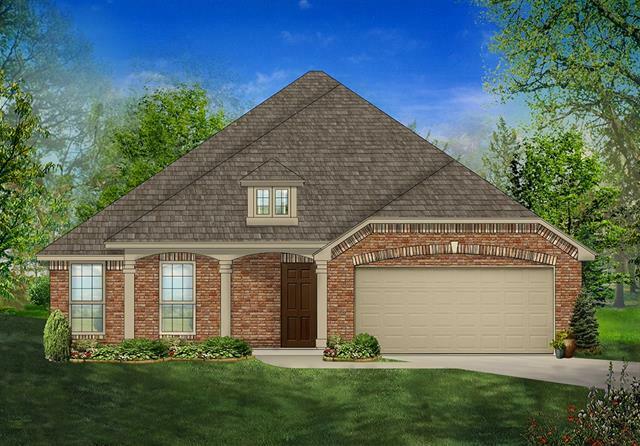 "MLS# 14056535 - Built by Impression Homes - May completion! 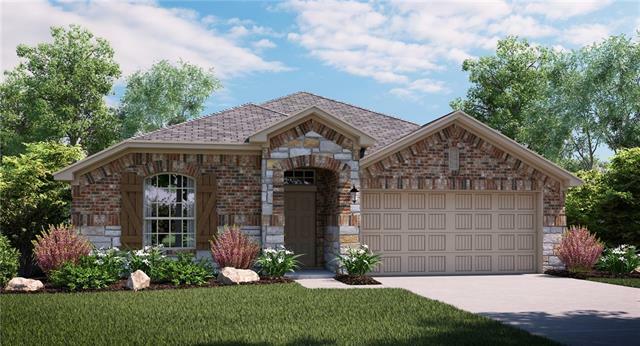 ~ Beautiful New Impression Home features covered patio, upgraded shower, rounded corners, Granite countertop, island kitchen, gas cooktop & heat, full blinds 2 ceiling fans, walking distance to NEW AMENITY CENTER! 10 pan ceiling, & much more!"